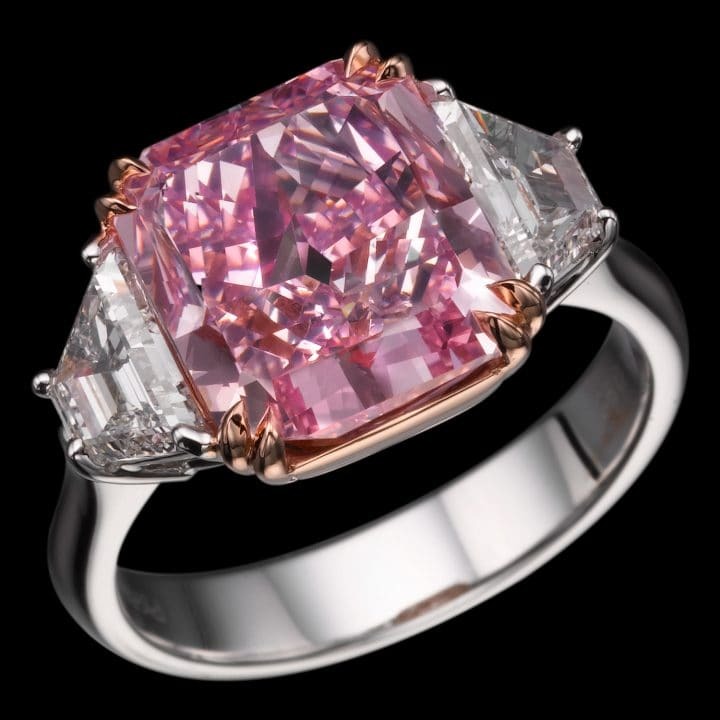 A true gift from Mother Earth, this extraordinary five-carat radiant-cut fancy vivid purple-pink is breathtaking. Embraced by a minimal setting with two trapeze-cut diamonds, this is a treasure of which collectors dream about. A rare and extraordinary fancy vivid yellow diamond weighing over 16 carats is the centerpiece of this exquisite work of art. The luminous color and perfect cut best captures light for an unforgettable sparkle. 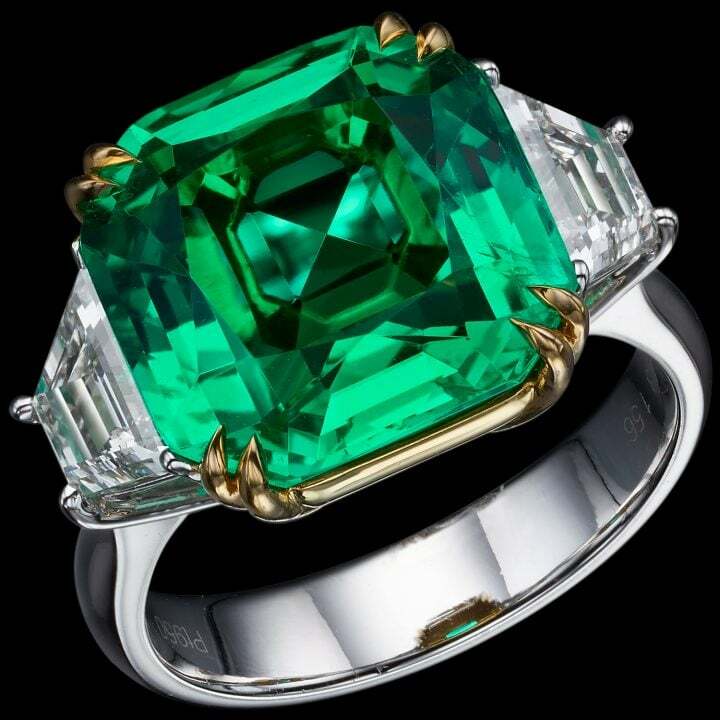 Only in an exceptionally uncommon occurrence, does a fancy intense green-colored diamond form. 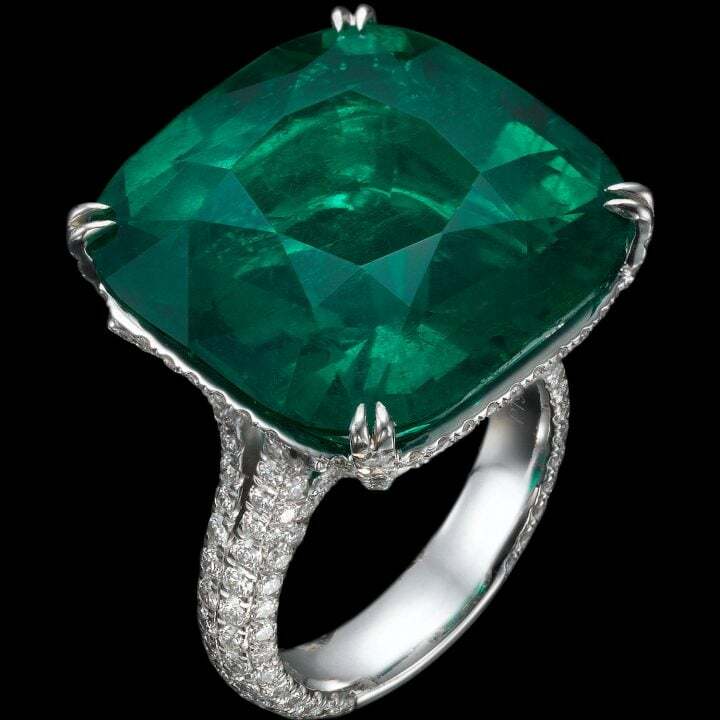 This extremely rare gemstone of 1.5 carats is the heart of this extraordinary piece. Its complementary pink and white surrounding diamonds create a breathtaking contrast which emphasizes the beauty of this rare stone. 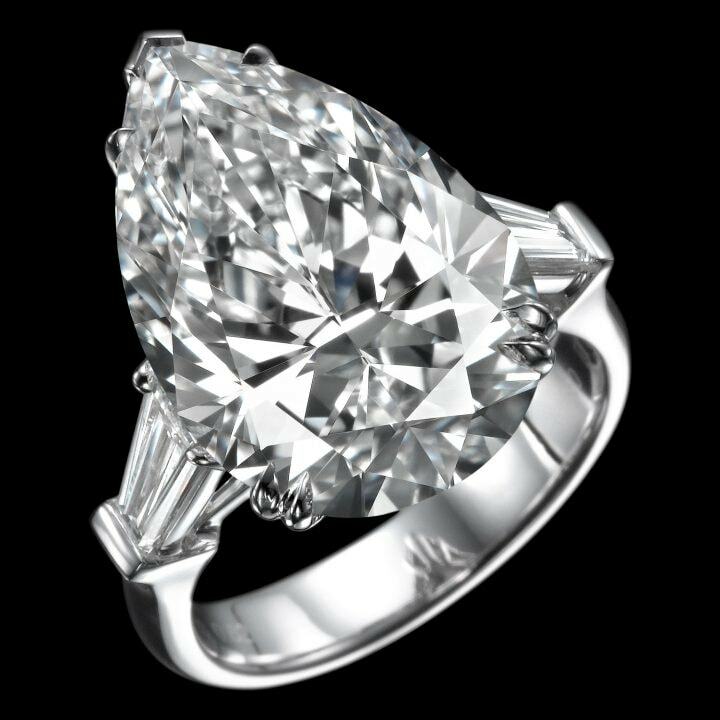 Belonging to the Majestic collection is a masterpiece of a perfect 10-carat, D color, internally flawless, pear-shaped diamond. The classic design rests on the detailed craftsmanship and precise cut for the maximum sparkle. 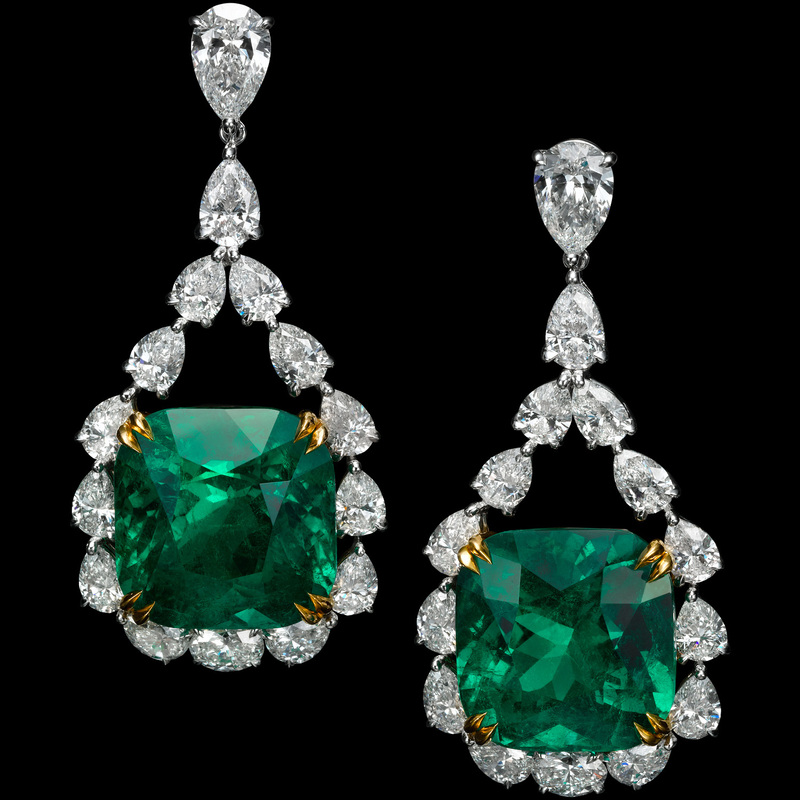 Matching it in its Majestic collection is a pair of drop earrings and elaborate necklace. 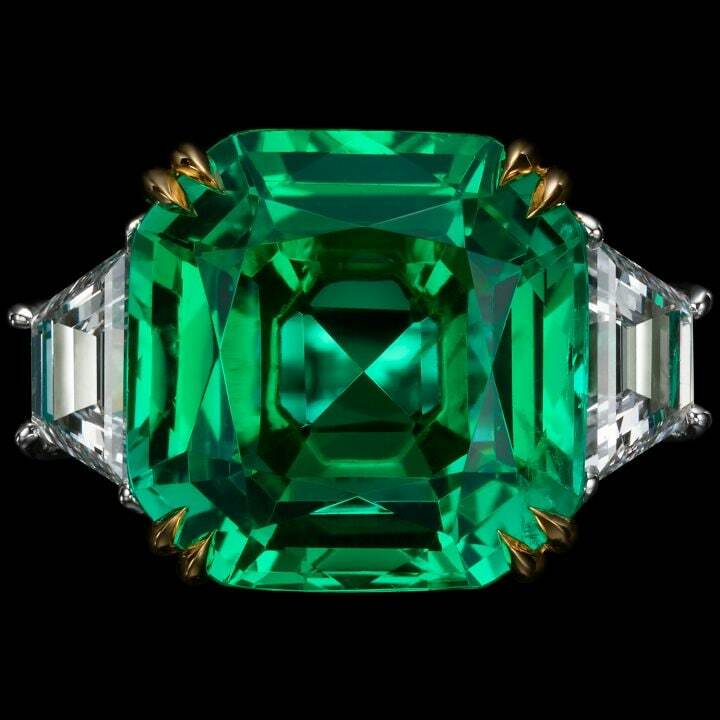 Magnificently rare in size and color, this precisely cut emerald-shaped, Sri Lankan sapphire of 33 carats boasts a vibrant, vivid orange tone. 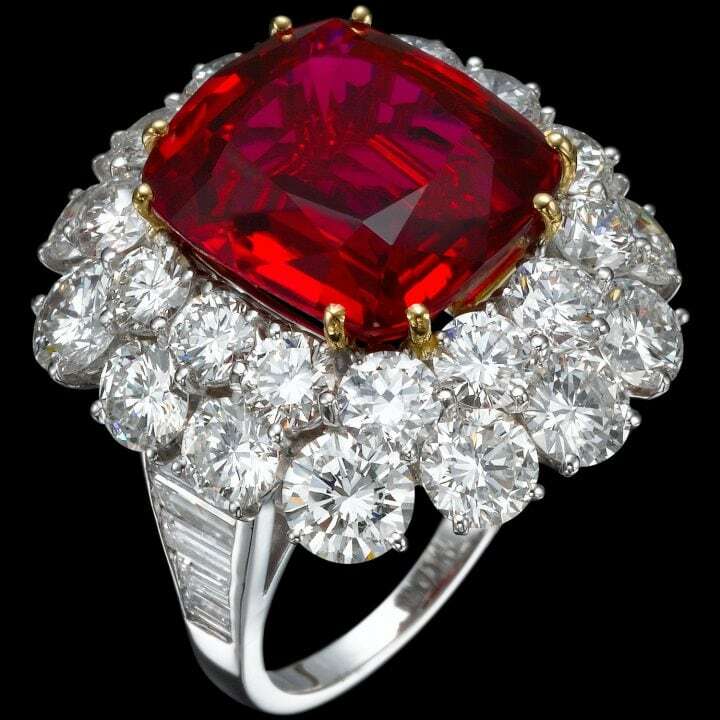 The saturation and intensity of this vermillion stone is the ultimate symbol of passion, energy and tradition. 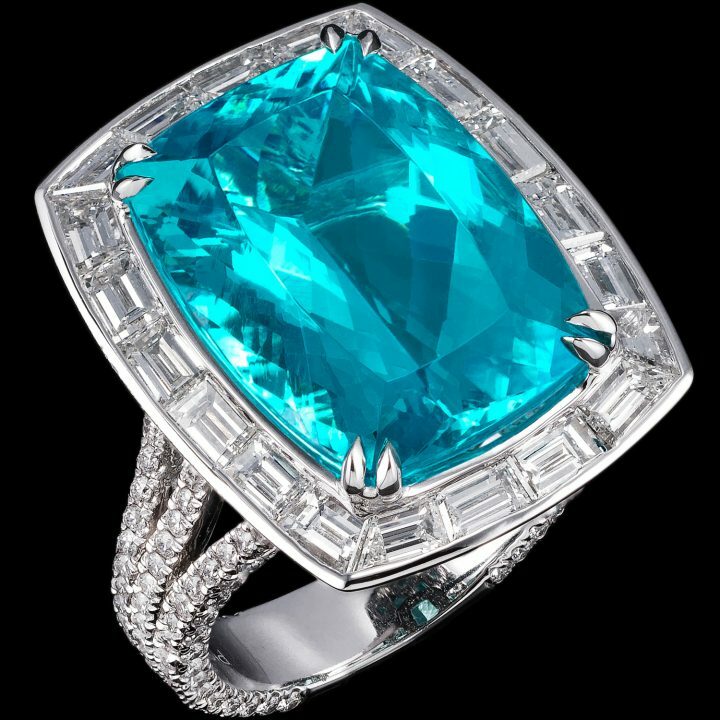 A gift from Mother Nature, this brilliant cushion-cut, Brazilian Paraiba weighing over seven carats captivates with its luminous electric blue color. 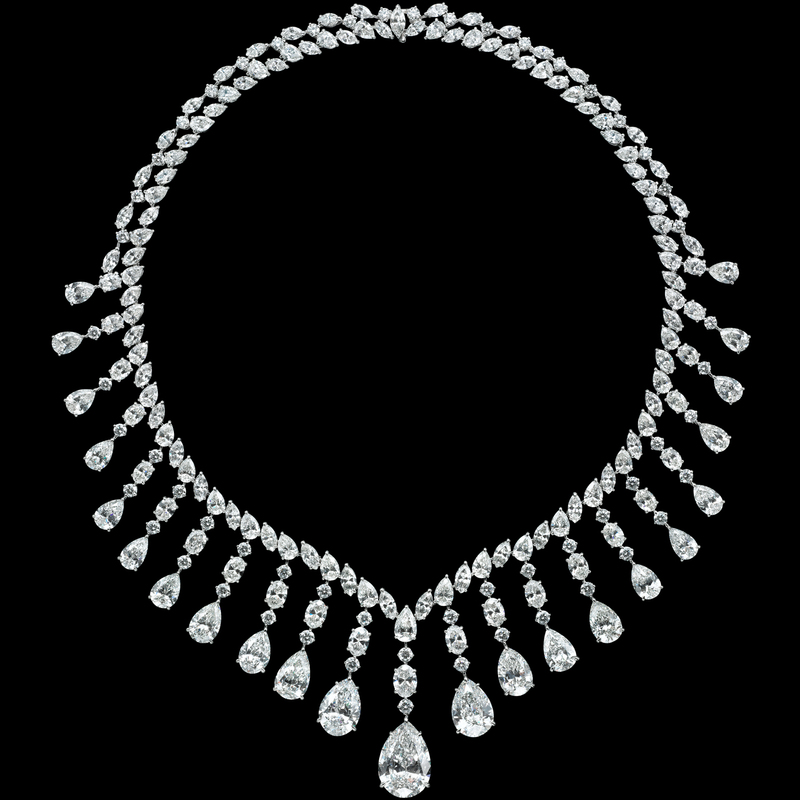 This rare treasure is accompanied by a cluster of 28 white diamonds. 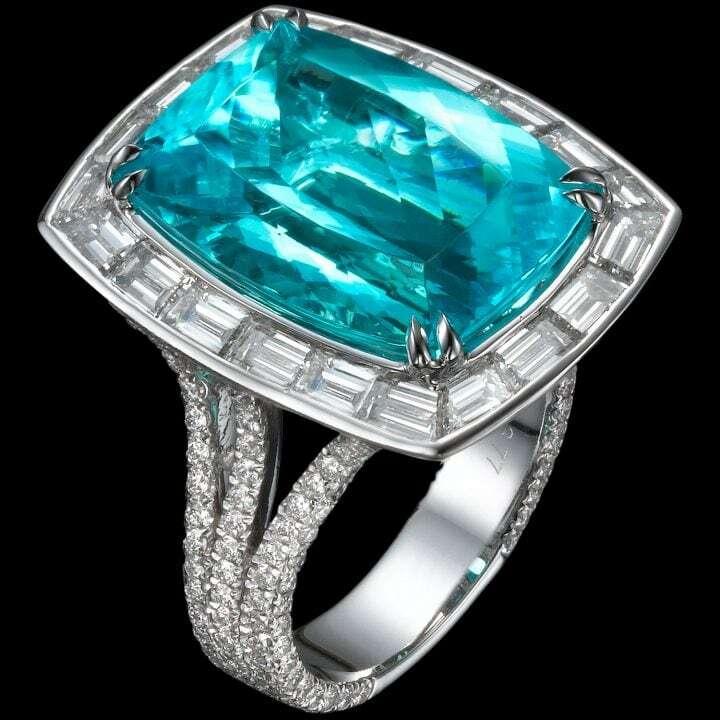 This incredible 12-carat, cushion-cut Mozambique Paraiba tourmaline serves as the center gemstone of this ring. 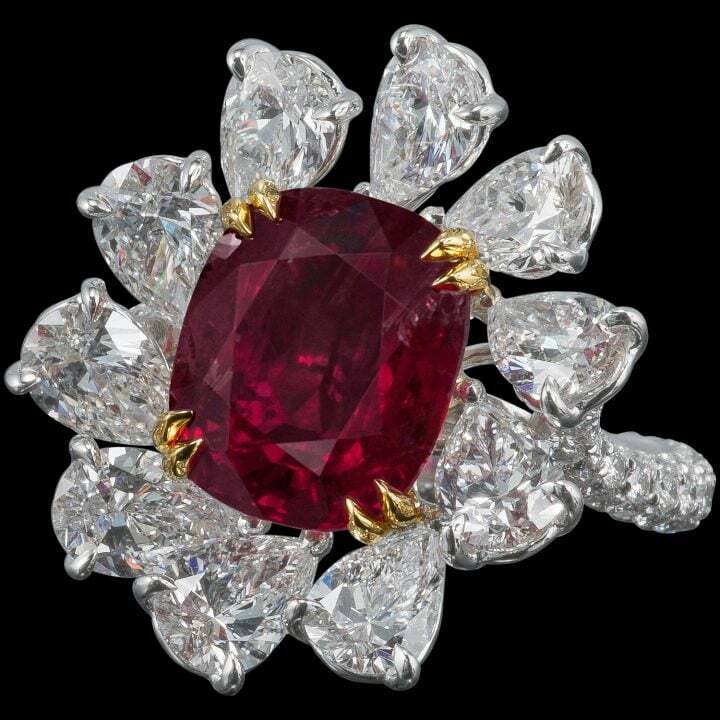 The flashing, colored stone is enveloped by a surrounding of white diamonds. Inspired by the natural element and beauty as a tribute to the diamond, this 10-carat, emerald cut, brilliant white ring dazzles majestically with its tapered baguette side accent diamonds. 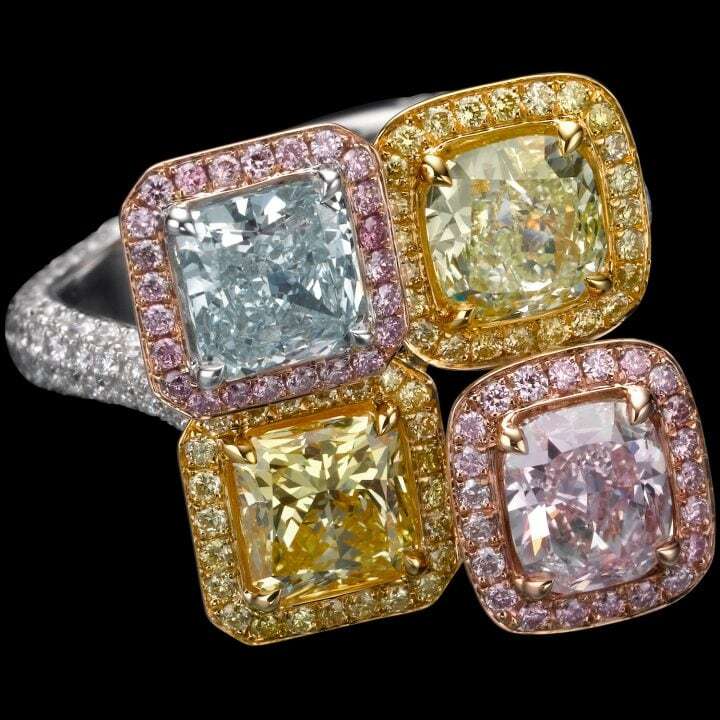 The rarest of Mother Nature's diamond pastel palette come together in this truly unforgettable fancy color ring - a treasure boasting a spectrum featuring green, pink, yellow, blue, and white diamonds - in a stylish, contemporary abstract arrangement. 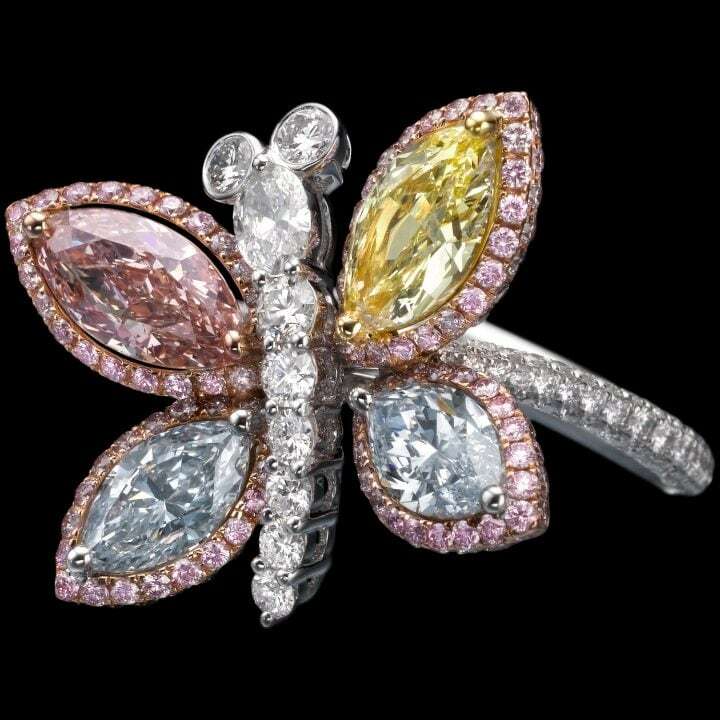 Inspired by nature, this butterfly ring features four rare, fancy colored diamonds weighing more than eight carats in total. 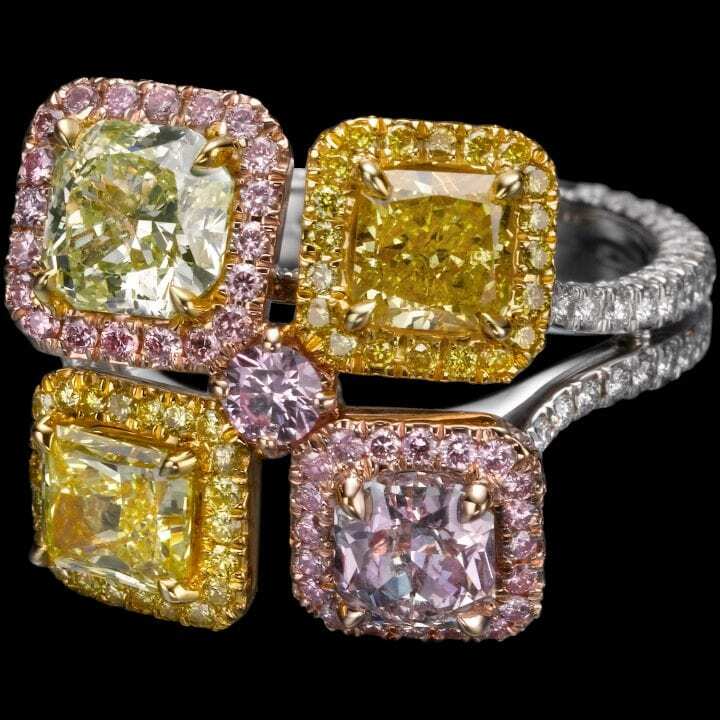 Each diamond is accentuated with a pavé diamond lining of contrasting colors to bring the piece to life. 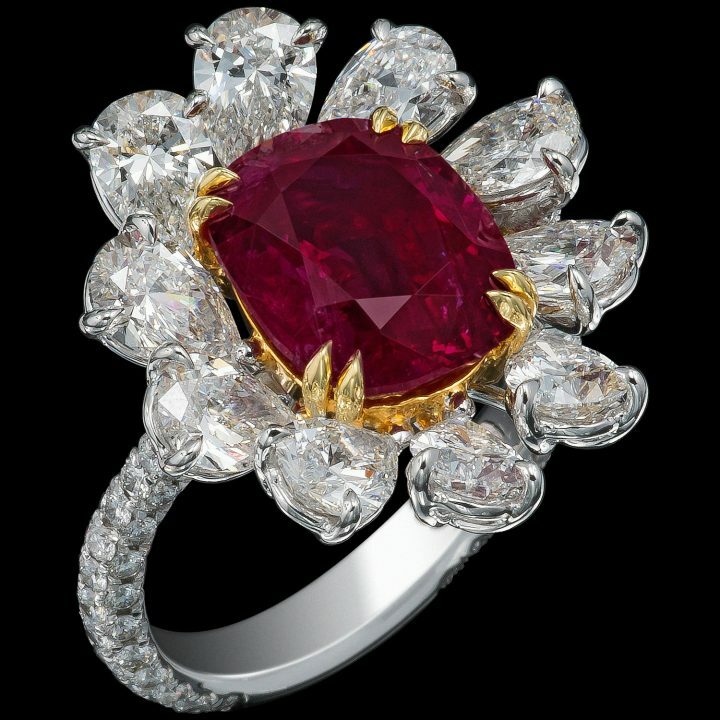 Of the Queen of Hearts collection, this marvelous 10-carat, heart-shaped, D color, internally flawless diamond ring is a promise of love. 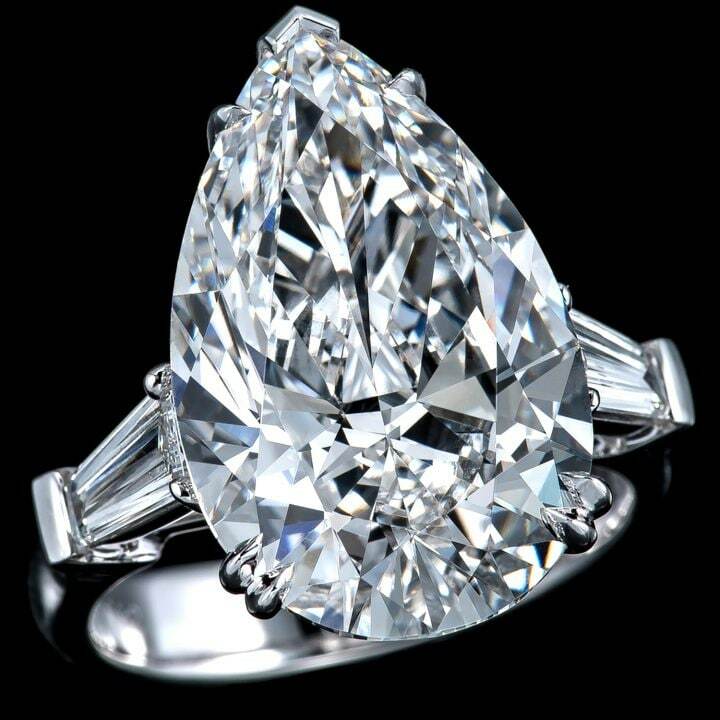 The soft curves of the heart shape is emphasized with side diamonds.  The rare four-leaf clover is the inspiration behind the design of this piece. 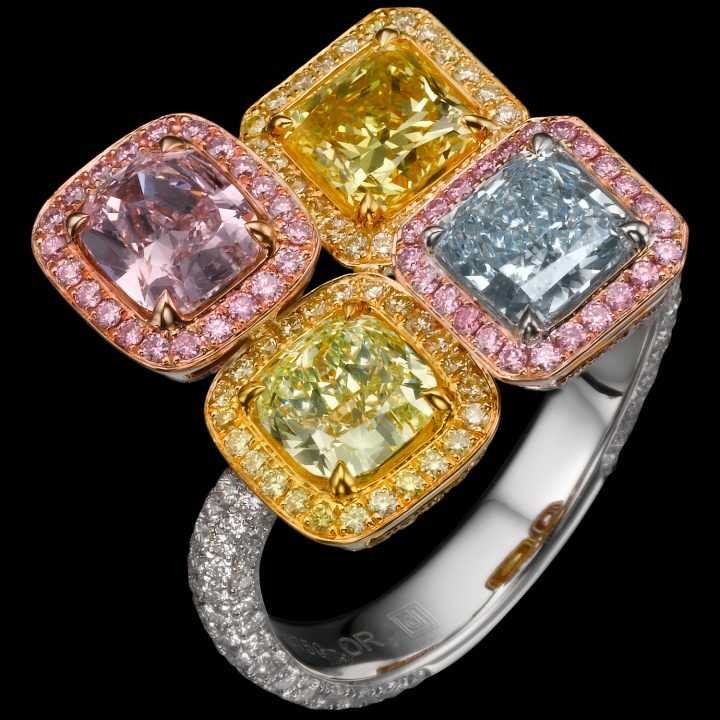 Taking the color elements of the Four Seasons collection, the heart-shaped diamonds, each differently colored, represent clovers which traditionally symbolize faith, hope, love and luck. Nature being the inspiration behind this piece from the Four Seasons collection, this tastefully designed ring features four fancy color diamonds of over 5.5 carats which compose the wings, while the body is made up of a line of sparkling white diamonds. 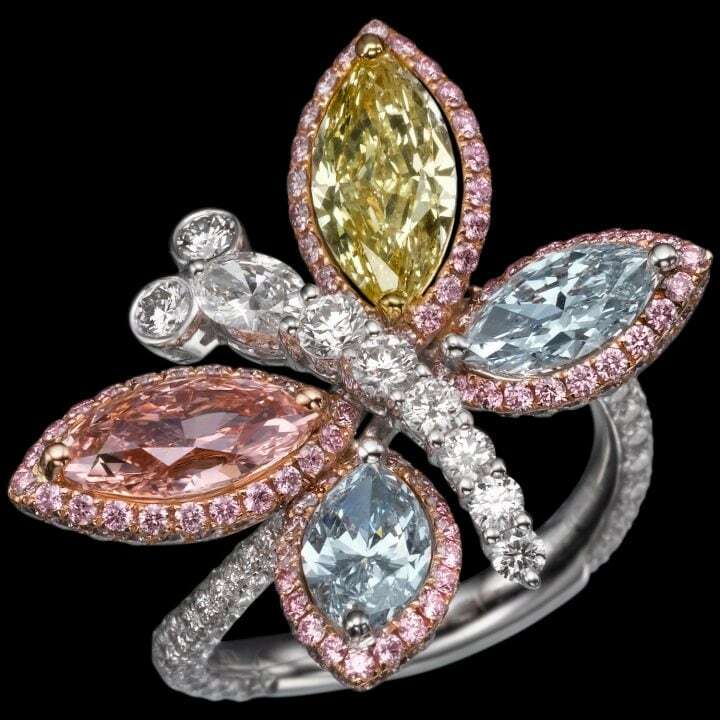 As part of the exquisite Four Seasons collection, this piece pays homage to the seasons of the year with harmonious colors of nature, carefully crafted to create a contemporary motif that showcases over four carats of fancy color diamonds. 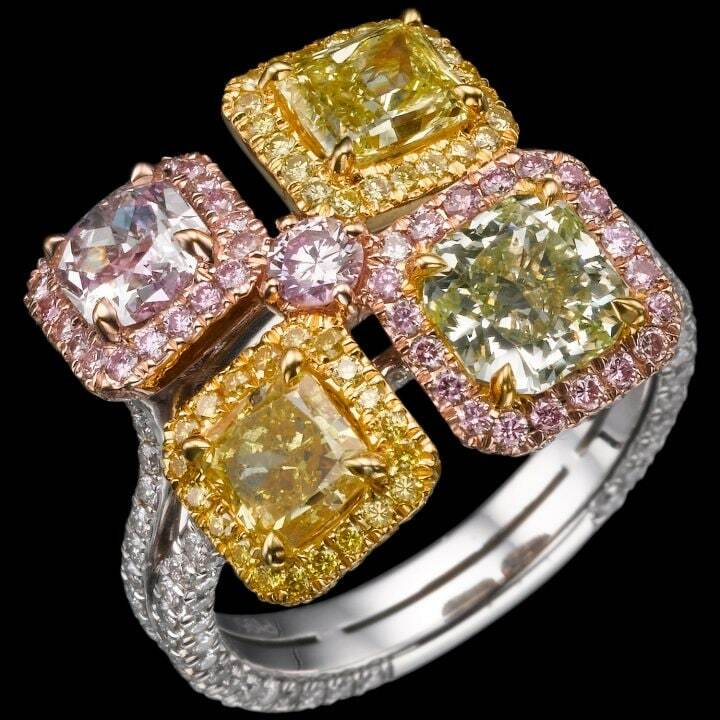 Another masterpiece from the Four Seasons collection, this ring dazzles brightly for its fancy colored diamonds, lined with a yellow and pink pavé surrounding to contrast and complement the featured stones. 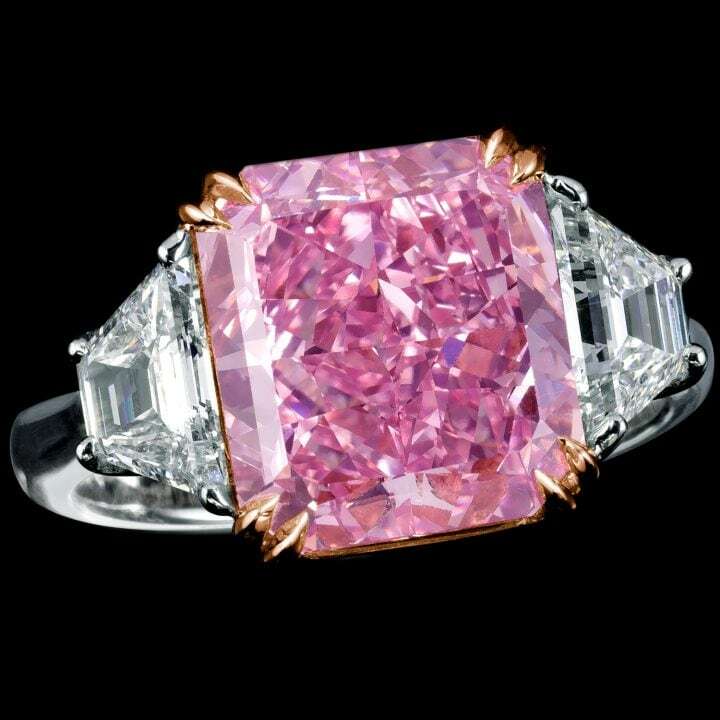 Conjoining the four components is a brilliant pink diamond that completes the vibrant motif.